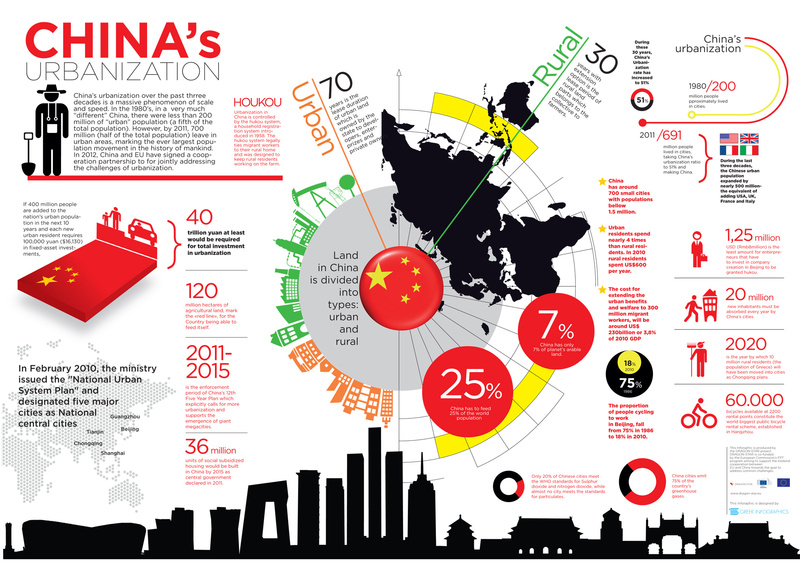 China’s urbanization over the past three decades is a massive phenomenon of scale and speed. In the 1980′s, in a very much “different” China, there were less than 200 million of “urban” population (a fifth of the total population). However, by 2011, 700 million (half of the total population) leave in urban areas, while the figure is expected to further grow in the future as 250 million migrant workers are expected to move to the cities by 2025, raising the urbanization level to 70%. China’s urbanization is the biggest and fastest social movement of human history that has completely transformed the structure of the Chinese society and has rapidly created (for the first time in China) an emerging urban middle class. The peace in the Chinese society and the stability of the political system is very much interconnected with the prosperity of this new middle class. The middle-class was allowed to accumulate wealth under the reform and opening-up policy and at the same time is becoming an important driver for growth and a buffer between the state and the different repressed and poorer groups of the society. For the years to come this rising, in numbers and power, middle class (of 1billion people by 2025), is expected to become an important driver for the continuing growth of the Chinese and Global economy. A new huge market that will have the capacity and desire to spend more on added value products and experiences, offering new development opportunities for western companies. On the other hand, this new urban middle class will require more openness, and a better and cleaner living environment. They are more likely to create social movements for defending their rights or to take legal actions to resolve disputes. It remains to see how this relationship with the state will actually develop in the years to come.